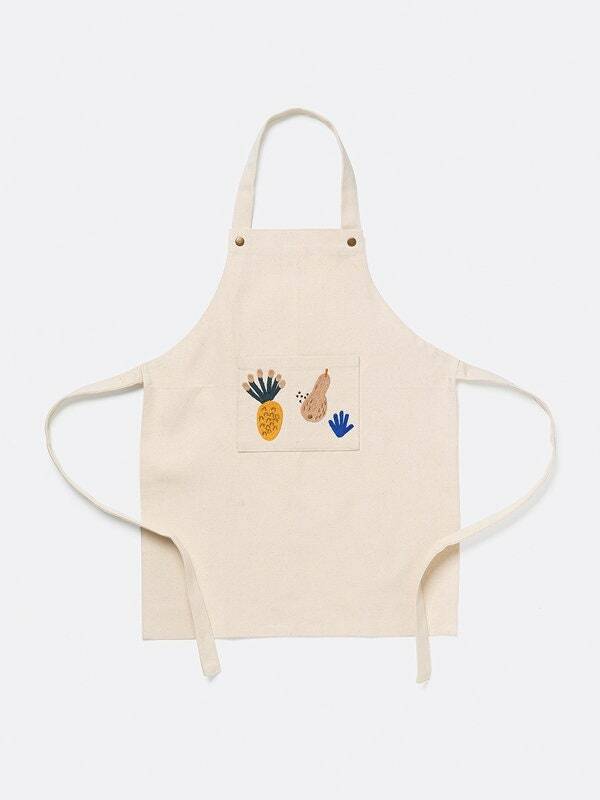 Protect your little one’s clothes while they cook up a storm in the kitchen with this canvas apron, adorned with embroidered tropical fruits of the Fruiticana series. 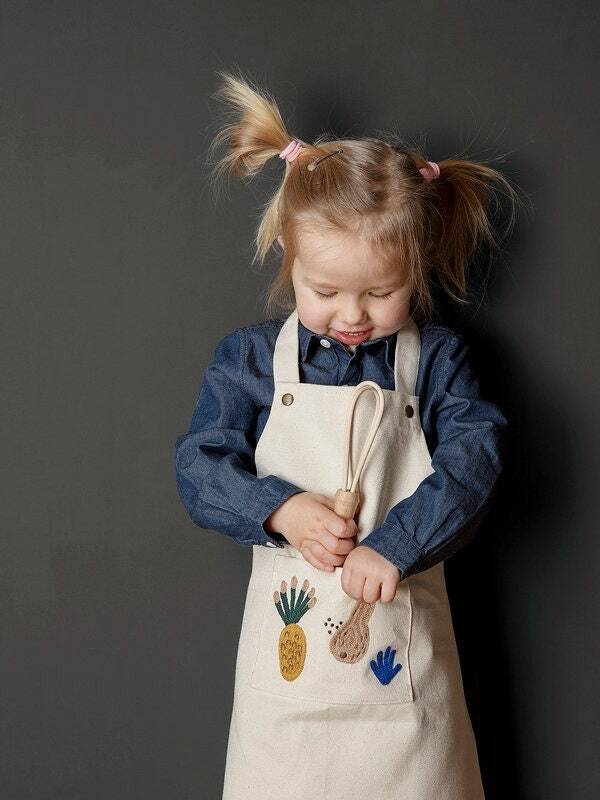 This charming design apron features a detachable neck tie and a deep front pocket – the perfect place to hide treats! Made of gently produced, GOTS-certified, organic cotton. • Measures 17.75" x 22"